Desperation and globalization are behind one of the most pronounced features of today’s world: The massive movement of humans across borders, from one country to another. The scope of human mobility includes refugee crises on the shores of Europe, in South East Asia and the southern border of the U.S.; it includes desperate migration due to the effects of climate change, governmental policies and violence and political upheaval. The rising trend of human trafficking, which occurs all over the world, also is a factor. Add to these crises the everyday international mobility of students, scholars, business people, missionaries, tourists, diplomats, and family members. Human mobility has captured the attention of diplomats and the news media and is the focus of numerous academic studies, programs and projects — including many here at the U. It also is at the core of many international disputes. Yet, as scholar Michael Doyle points out, there has been no common definition or international legal framework addressing human mobility. To address this gap in international law, Doyle has undertaken the initiative for a model treaty of international mobility. Doyle will discuss his proposal as the guest lecturer at the S.J. Quinney College of Law on Oct. 26. A reception will take place at 6:30 p.m., followed by the lecture at 7 p.m. and a book signing afterward. The event, which will take place in the Moot Courtroom on Level 6, is free. Doyle is the director of the Columbia Global Policy Initiative and University Professor at Columbia University in the School of International and Public Affairs, Columbia Law School and the Department of Political Science. In 2001-03, Doyle served as the U.N. assistant secretary-general for policy planning and special adviser to Secretary-General Kofi Annan, where his responsibilities included strategic planning (the “Millennium Development Goals”), outreach to the international corporate sector (the “Global Compact”) and relations with Washington, D.C. He also served as the chair of the U.N. Democracy Fund and now he chairs the International Peace Institute. 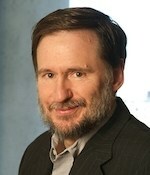 In 2001, Doyle was elected a fellow of the American Academy of Arts and Sciences and in 2009 he was elected to the American Philosophical Society. In 2012, he was inducted into the American Academy of Political and Social Science. Doyle will address his current initiative — a Model International Mobility Convention — that has wide-ranging implications for the current refugee crisis. The goal of the convention is to reaffirm the existing rights afforded to mobile people (and the corresponding rights and responsibilities of states) as well as to expand those basic rights, where warranted, in order to address growing gaps in protection and responsibility that are leaving people vulnerable. For more information, contact Deen Chatterjee at deen.chatterjee@law.utah.edu.